Easier said than done. This isolated base is located near the South Pole, about 1,500 miles from Rothera, a British Antarctic Survey Station on the Antarctic Peninsula. 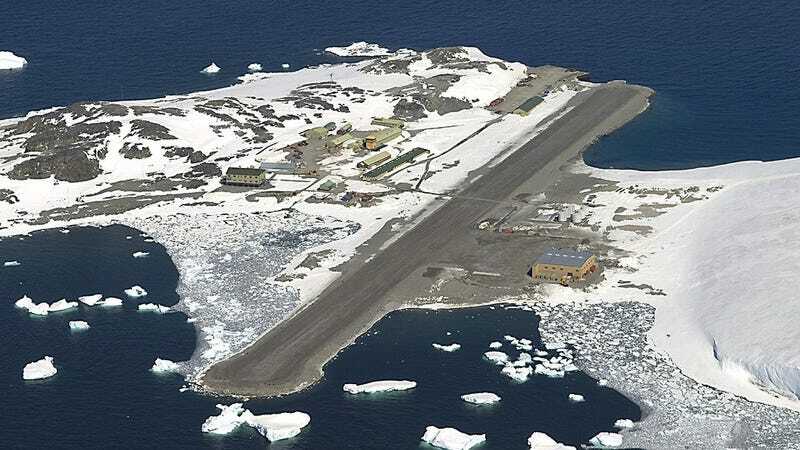 It takes about 9 hours to get from Rothera to the NSF base—a distance of over 1,500 miles. And as already noted, it’s now winter in Antarctica, where temperatures can drop to -76 degrees F (-60 degrees C). No word yet on the health of the patient, but according to an NSF spokesman, “It went all according to plan.” It also appears that, in addition to the patient, two support crew employees were also evacuated, but this still needs to be confirmed.